A classic formal black slip-on brogue shoe which exudes style and class. A solid addition to your wardrobe, this black slip-on shoe will work hard for you. Team these sleek black slip on brogues with a suit and the colour of it is up to you as black is neutral. 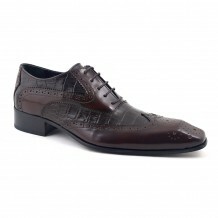 You can tie the outfit together with a black belt and jazz it up with funky socks. This is easily going to work in a formal environment today. There is even space for you to wear these black brogues with jeans which you could smarten up with a blazer and dress shirt or go for a really chilled vibe with no socks and a short sleeved shirt. 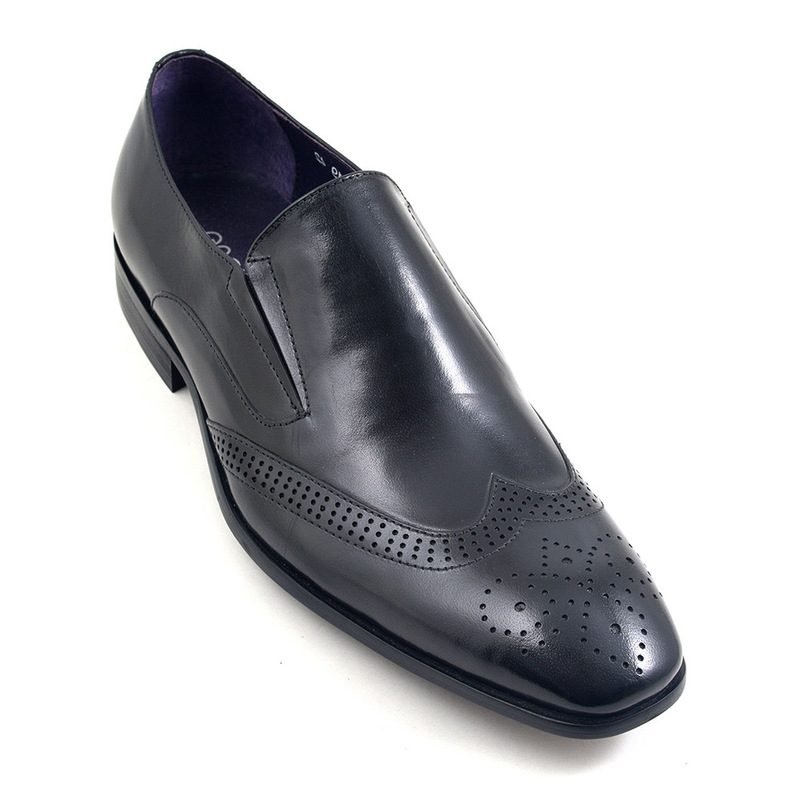 We can see a pair of shorts working with these as the art of wearing black slip on mens shoes comes from a place of confidence. Believe in your own style decisions and you will not go wrong. 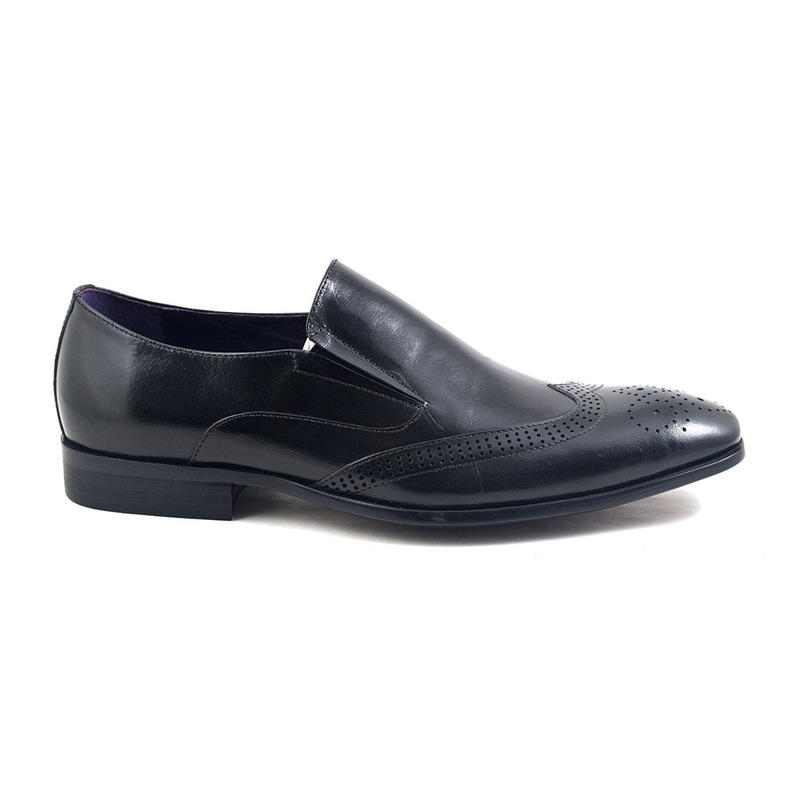 Be the first to review “Ruben Black Slip On Brogue” Click here to cancel reply.